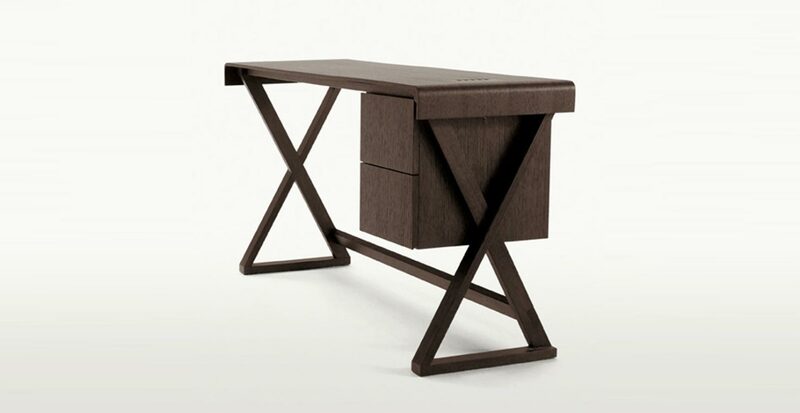 Practical writing-desk in grey oak, brushed light oak or brushed black oak. 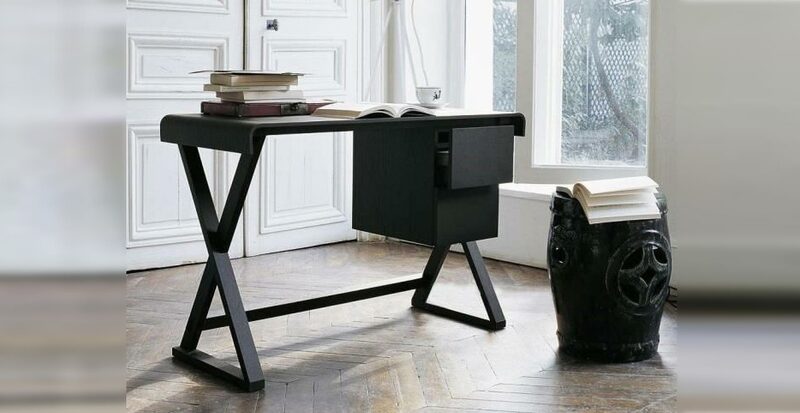 The rectangular top of the writing-desk is covered with natural, black, ivory, tortora, dark brown thick leather or alternatively a curved top version. 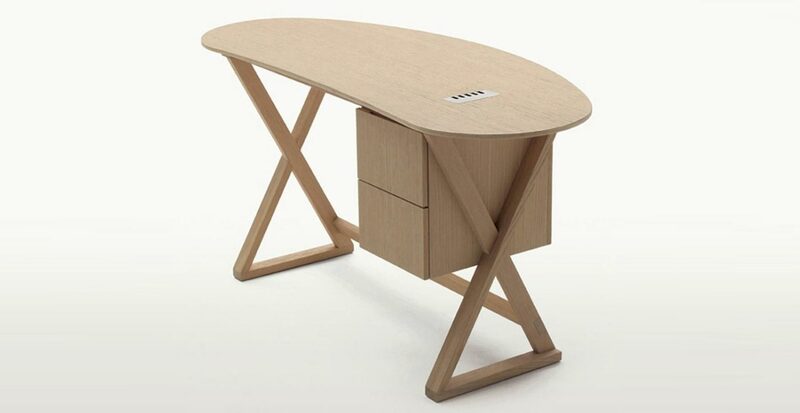 Both feature a cable flap and a drawer unit placed under the top. Bei den Geschäfte GEROSA DESIGN finden Sie die meiste Produkte von Maxalto Katalog ausgestellt, da Gerosa Design der zentral Referenz Punkt in Gebiet Nord Italien ist (Como, Milano, Varese, Lecco und Monza und Brianza… ).